Between income and wealth, culture and language, the newly arrived versus life-long residents, the divisions that separate people within Montgomery County’s diverse community are wide. So when the Greater Washington Community Foundation reached out to IMPACT Silver Spring for support in organizing their Community Conversation in Montgomery County, we welcomed it as a positive step towards closing this divide. We were admittedly a little unsure how many residents from IMPACT’s grassroots network would choose to come to this one-time event, with an organization they did not know. 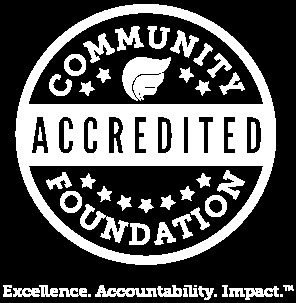 We decided to do targeted invitations to people we thought might be inclined to participate, and did our best to explain who the Community Foundation is, and their goals. To our surprise, nearly all the 30 residents we spoke with showed up, to the point that we could barely fit everyone in the room. The time and care IMPACT takes to nurture relationships of trust with members of our network are in large measure what led to the high community turn-out. Most certainly, our network’s participation in the event will help to infuse the foundation’s learning process with the voices, perspectives, and lived experiences of grassroots residents, and not only the voices of the professionals serving the poor and low-income. Our hope is that philanthropy will continue to press forward in figuring out ways to cultivate its own trusting relationships with grassroots residents through a long-term community engagement process. Only then can foundations be assured that their giving priorities will be informed and shaped by the lived realities of the very residents they are trying to support, through a constant flow of mutual learning that comes when strong connections and relationships are in place. We witnessed the start of this relationship-building process at the event, when the foundation’s President and CEO Bruce McNamer pulled up a seat to join one of the tables reserved for IMPACT’s Spanish-speaking network members. Bruce stayed with this group for the entirety of the 3-hour evening, and listened and spoke to the group in Spanish. This simple yet powerful gesture was a first step towards overcoming the divide that often exists between philanthropy and the grassroots. Imagine if it was more common practice for foundation CEO’s to take the time to meet with grassroots residents as equals, speaking in their language! This could go a long way for establishing a more meaningful relationship-building process.